Transparency in our supply chain means that we prioritize meeting cacao producers and learning from our farmers at origin. They are the backbone of the work we do. We are constantly tasting beans from around the globe and talking to new producers to bring you delicious cacao. This year we brought in a new origin from Cacao de Colombia grown by the Arhuaco, one of four indigenous tribes who protect the stunning wilderness of the Sierra Nevada de Santa Marta in Northern Colombia. The Arhuacos tribe have an immense respect for the environment epitomized in their directive to be stewards of the earth. We have learned from the Arhuacos how one can grow cacao and protect the earth in the most challenging and diverse environments. The Arhuacos cacao farms stretch from high up in the Sierra Nevada mountains all the way down to the Caribbean Sea. 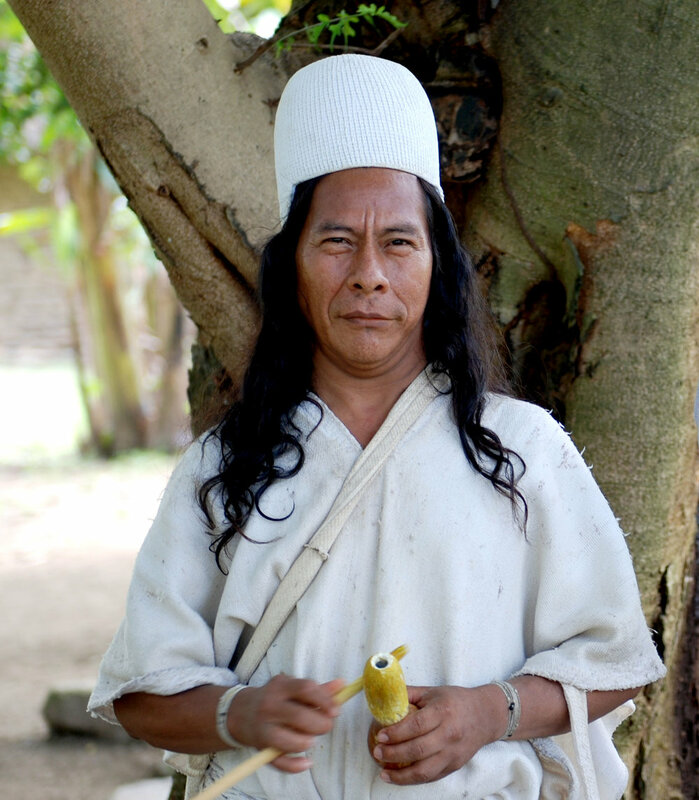 The Mamo is the spiritual leader of the Arhuacos. He is a serene man of few words. We were lucky to spend some time with him when our Director of Global Ops & Sourcing, Stasi Baranoff, interviewed him to learn more about the history of the Arhuacos. 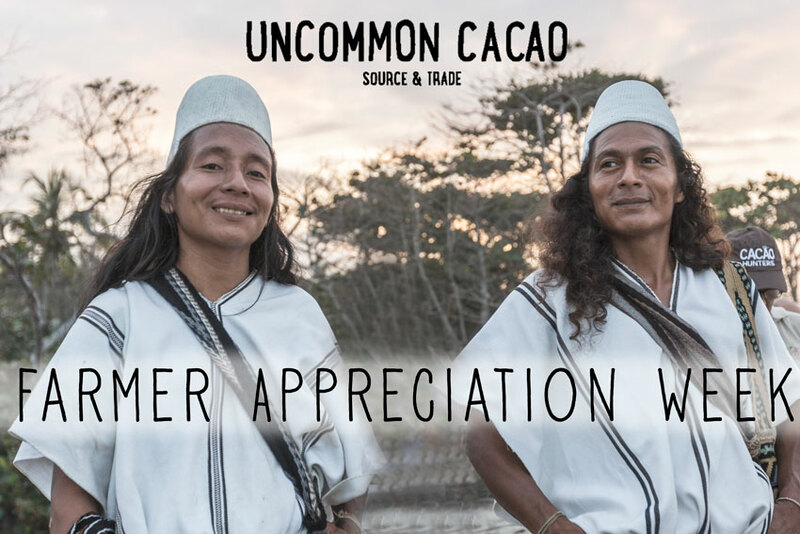 El Mamo recognized that cacao naturally encourages forest growth in the jungle, and El Mamo Camilo's community are the first Arhuaco community to start growing native cacao again after hundreds of years of colonization. El Mamo remembers a time when the forest was being damaged by marijuana and cocaine farms. He recalled how these farms changed the feel of the land and the people living in the forest. Now that these farms have been replaced with native cacao, he believes the environment and the people are improving again. He is happy that his community has access to the sea and that the forest is growing back. Cacao is a critical part of this shift – instead of marijuana and cocaine, cacao can grow with the forest instead of damaging it. To the Arhuacos, everything must exist in balance with nature. They grow delicious cacao with flavor notes of walnut, lavender and white grape through their deep respect of local flora and their ecosystem. El Mamo Camilo doesn't typically meet with strangers - it's very special that he was willing to meet with Carlos from Cacao de Colombia and Stasi from the Uncommon Cacao team. It confirms his trust in our partnership as we bring this cacao to our dedicated chocolate makers. Older PostWinners of the 2018 International Chocolate Awards!